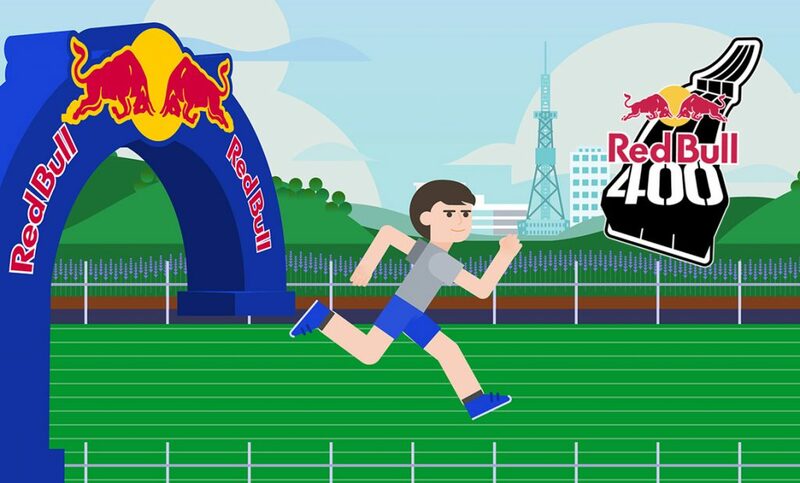 The iid team is proud to launch Red Bull Japan’s new web-based game for mobile and desktop to support the Red Bull 400, the brand’s real-world event in Sapporo. The engaging game simulates the actual Red Bull-sponsored running race up an Olympic ski jump in Sapporo, Japan. Players need to complete the challenging course within 40 seconds to be able to enter a sweepstakes to win a chance to go to Austria for the Red Bull 400 in that country. Important to the success of the game was both the stylized illustration to capture the brand and the custom-built game engine that reacts to the steepness and difficulty of the course. And of course, players can get power-ups by grabbing flying Red Bull cans that appear along the incline. This branded game is a key approach to connecting with younger fans in Japan.